Raising different dog breeds can be hard and fun. It’s good to start from adopting teddy bear dogs to large ones. You probably have Pomeranian, Poochon, and Shih-Poo. 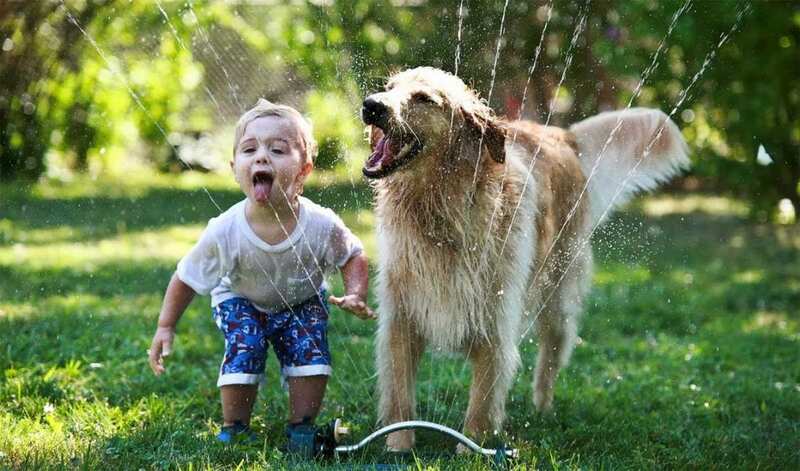 You perhaps begin raising golden retrievers and boxer dogs. What other breeds can’t you afford to miss? 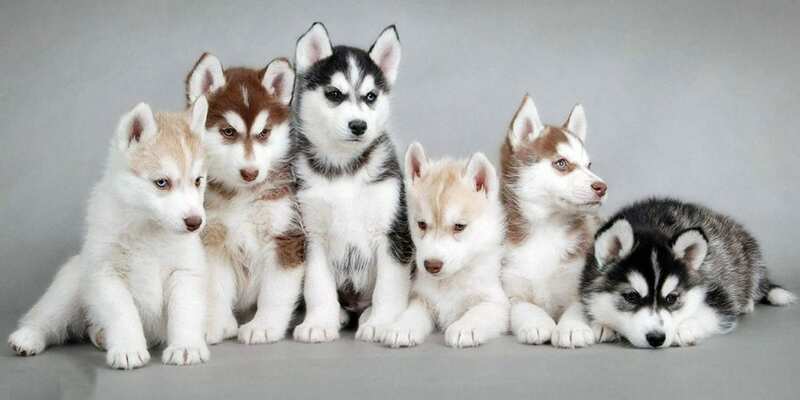 Siberian Huskies should be part of your list. Well, they are not the same with other dogs you have at home. They are unique and special. When you dream of raising one, this guide will be of great help. How long does a Husky live for? Are Siberian Huskies a Good Family Pet? Do Siberian Huskies Bark a Lot? What diseases are Siberian Huskies prone to? 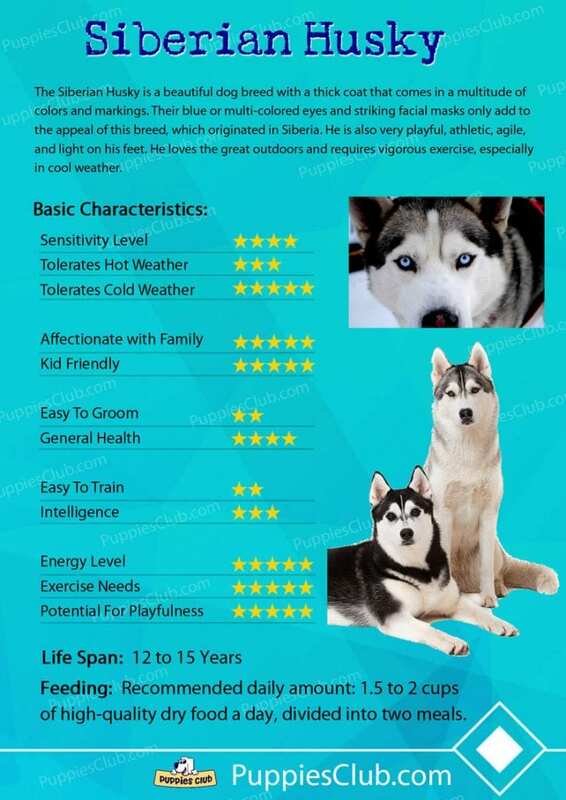 How much do Siberian Huskies Cost? Many people believe that Siberian Huskies display the possessive qualities of a guard dog. They think that huskies are overly aggressive or suspicious of strangers or other dogs. The good news is that all these information are untrue. Known to have the wolf-like appearance, Huskies have the charm, gentleness, and appeal. They have even temperament and love for others, making them ideal family dogs. What makes them different is their zest of life. Compared to a few breeds, their energy is unmatched. Whenever you play with them outside, they seem it’s their first time. Although they are already adults, they play with the energy of a puppy. They are cute, loving and loyal. For first time owners, they can be a good option. Unfortunately, it can be quite tricky. They require complex training and extensive exercise to maintain positive behavior. Only those with the energy and time can be a responsible pet owner. Similar to other medium or large dogs, Siberian Huskies’ average lifespan is about 12 years. The good news is that they can live up to 15 years. Some even live longer. Female dogs are likely to have a longer life than male huskies. However, this requires further studies to prove that claim. So, don’t be surprised when your male Siberian huskies outlive their female companions. Full grown Siberian Huskies have a thick and shiny coat. Their eyes are in an almond shape. They can be brown, black or blue. The nose can be either pointed or square. The tails are greatly furred. They usually curl their tails up their faces or noses for extra warmth. When it comes to the size, male Siberian Huskies are 21 or 24 inches tall. They weigh around 45 or 60 pounds. Female huskies, on the other hand, grow between 20 and 22 inches. Regarding weight, it’s around 35 or 50 pounds. Siberian Huskies are native to Northeastern Siberia – one of the places with the harshest climates on earth. Over thousands of years, they have evolved under the Chukchi people. Northeastern Siberia is among the countries with terrible winter. The temperatures decrease below -50 degree Celsius. Aside from that, the winds intensify the extreme cold. Luckily, Siberian Huskies are equipped with a double coat. This protects them from the snow, wind, rain and other elements. However, it is not always cold in Siberia. The temperature can increase up to 30 degree Celsius. Huskies can adapt to this terrible situation thru shedding. Just like other breeds, Siberian Huskies shed twice a year. The first molting process is between the spring and summer. The second is from autumn to winter. Plus, they may shed hair because of allergic reaction and vitamin deficiencies. An experienced vet should control non-stop hair loss. Don’t use untested medications. As with other breeds, Siberian Huskies are a good family pet. However, proper training and attention play a crucial role in having a responsible pet. What makes Huskies a perfect dog is their intelligence. They are smart and attentive. However, wait, there’s more! Huskies are stubborn and independent. They thrive in a group of people. Unfortunately, gentle and firm training is necessary. They love running and other intense activities, so be ready. More than that, they are friendly with children. Although they look like a wolf, they have a big heart for affectionate people. Aggression is common among dogs. It can be a big problem. It can be dangerous and terrible when not controlled. Despite the size, aggressive Huskies may bite or attack a person or another breed. This is where proper training comes in. Train your Siberian huskies properly. Teach a few weeks old puppies with the necessary skills to maximize the results. Please don’t wait for the time when they cannot be controlled. Throughout the training, huskies may commit mistakes. Well, they are intelligent. However, some barriers affect their learning and retention. Never reprimand or punish them. Positive reinforcement can be helpful. As they learn the skills, provide them with healthy and delicious treats. On top of that, provide them with the opportunity to socialize with other dogs. Join competitions to develop their social skills. Bring them in the park. There’s a variety of dogs they deserve to meet. Siberian Huskies have a thick coat. This means they are not a hypoallergenic breed. Whether you suffer from irritation or other allergic reactions, it’s sad to know that huskies are not right for you. Well, some people, despite their allergies, try to adopt huskies. Yes, it’s possible. However, careful cleaning or vacuuming is imperative. You can also wear protective gears like masks to lessen the risks. The good news is that there are good options. These can include the Basenji, Airedale Terrier, a Border terrier, and Wirehaired Vizsla. Ask your vet for other possible choices. Huskies are a beautiful dog breed. They look amazing. With their wolf-like appearance, they can change your mood and make you confident. They are also affectionate and loyal. As with other breeds, Siberian Huskies bond with a group of people quickly. However, are they smart? You perhaps know the answer. Often used as work dogs, huskies are one of the most aware and the sharpest dogs you can ever have. These qualities make them easy to train. Huskies are also independent. They make their own decisions, which can be a disadvantage for some. Because of that, they may seem difficult to teach. It’s not that they don’t get the training. They think they know better. Strive hard until you have responsible huskies. Siberian Huskies are full of zest. The failure to provide the right exercise can make them destructive. They also love socializing with other breeds. So, let them play with other dogs. This is a prerequisite in having a healthy, happy, and active lifestyle. Yes, Siberians are energetic and playful. However, they bark less than other breeds. The reason is that barking is considered a national call. As with wild dogs, huskies are uniquely non-territorial. 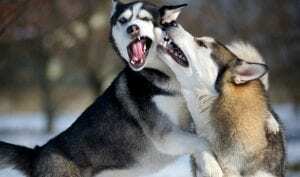 When Siberian Huskies bark, it is an invitation to play. However, they may howl more often. This is especially true when you have two or more huskies at home. It’s their trick to fool their opponents. Other creatures in the wild may think that they are a large pack. Huskies have an average lifespan of 12 or 14 years. They are an ideal choice for different people. However, purebred Siberians are prone to different canine problems. As a pet owner, it’s essential to know it ahead. Just like other animals, it’s necessary to be sure about the health concerns that plague the Huskies. Not only are they costly, but they are also time-consuming to address. When you plan to adopt Siberian Huskies, learning about the possible health issues is worth your time. One of the most popular diseases for Siberian Huskies is cataracts. Approximately 10% of the breed has been affected. Cataracts usually develop from the first 6 or 12 months of your puppy’s life. Unfortunately, this can result in blindness without proper treatment. Before it’s too late, let a vet check on your dog’s eyes. It should be on a regular basis for a fast recovery. PRA is another eye problem for huskies. It is a condition where the retina starts to deteriorate. Just like cataracts, progressive retinal atrophy is expensive to treat. However, early detection and effective medication can make a difference. Unlike cataracts and PRA, corneal dystrophy is a hereditary disease, affecting the cornea. If your huskies are experiencing this condition, their cornea has small white dots. This leads to opaqueness and hazy vision. When it comes to treatment, there are no possible solutions to correct this corneal dystrophy. It depends on different factors. These can include the breeder, quality, and the bloodline of the puppy. Usually, the price of a healthy husky is around $500 or more. They are expensive. However, nothing can beat the costs of food and grooming services. Siberian Huskies are a great, new family member. They are easy to train, intelligent and loving. They also need your time, love and care. Please don’t leave them alone at home every day. Make sure there’s someone to feed and hug them. ENJOY a dozen huskies in the future!